We are a Hunter Douglas Gallery Showroom where you will find more than just beautiful window treatments. You’ll find a committed staff that will partner with you on your design projects. We will take the time to thoroughly understand your design goals, functional needs and budget requirements to ensure your complete satisfaction. It doesn’t matter if you are shopping for a single window treatment, redecorating an entire house or pursuing a solution to a complex design challenge, we have the people with the knowledge and expertise to help put it all together. Since we're locally owned and operated, we take our long-term commitment to the community seriously and we are proud of the professional products and services we provide. Top Quality Custom Window Treatments in Dallas, TX | BOH 2018! Custom Drapery Designs, an award-winning full-service soft goods firm, specializes in unique, high-quality custom design including wood and fabric window treatments as well as bedding and upholstery updates. CDD serves Dallas and the surrounding metroplex with all aspects of a custom design project —from in-home consultation to project management to exquisite couture details to a perfect installation. We listen to your story and your style and find just the right mixture of fabric, hardware and accessories to make your design dreams a reality. We do it all…for you! 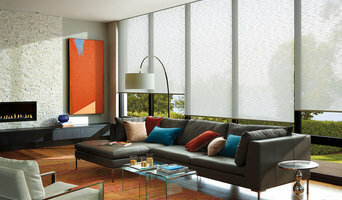 Lone Star Blinds is one of North Texas' premier sources for both residential and commercial window coverings. My company is more than just a retail source for high quality window coverings of all types. I specialize in providing expert design and functional solutions for every situation. If you are looking for a personal, boutique style shopping experience, with fair and competitive pricing, I hope you will give Lone Star Blinds an opportunity. You will not be disappointed. Ram Degani. In business for over 22 years, we know what works and what doesn’t, that’s why we only use O’Hair Shutters™ for our plantation shutters and Venetians™. Why? 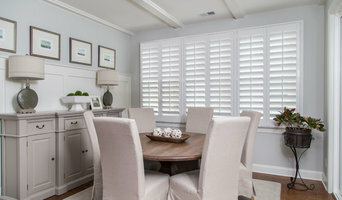 Because we know that you are getting the greatest value and the highest quality product for your money; we know that historically, you’re simply not going to have problems with your shutters and we know that if there is a problem, O’Hair™ is going to be there to help us resolve it for you. Talk is cheap; we know these things from experience. You see, we want the “warm fuzzies” just like you do, and there is no warmer feeling than having an elated customer praise you and thank you for simply doing your job. And everything we sell has a lifetime warranty. After spending over eight years developing and perfecting a computer driven system that is integrated with the latest in state-of-the-art equipment, Universal Window Coverings has cornered the market in innovation, customer service and downright speediness; we’re small enough to know who you are when you call and big enough to get the job done quickly and professionally. There is no shutter problem for which we can’t design a solution, as is evidenced by our gallery of pictures. We want you to tell others about us and are willing to do what it takes to make you a happy customer. Drop us a line – we appreciate your input. *Hunter Douglas Authorized Dealer* B Pipka Designs offers fashionable window coverings, motorization, custom draperies, color consulting and all other interior details to create the desired style for your home. Our priority is to provide exceptional customer service. Authorized dealer in Dallas, Fort Worth and surrounding areas with Hunter Douglas Window Fashions and The Window Outfitters for outdoor aluminum shutters. Becky is also a Color Expert trained in the theory of undertones. B Pipka Designs will provide you with creative design solutions by reflecting on your lifestyle and how you use the space in your home. We will create a style that is unique to you and provide superior window coverings that create beauty and functionality in your home. Becky has been a participant in the design community, works with a network of interior designers and stays current with the latest trends and sources in design. We believe in thinking differently ... Our products and custom treatments are beautifully designed to express the uniqueness of your own personality and lifestyle. We believe in the importance of details and self-expression, and there couldn't be a better place to express yourself like in the comfort of your home. Our mission is to help you find your own way in design with the beauty and function that every home deserves. We believe that there is no place like home, We believe in you. Let us know how we can help. Hablamos Espanol! Llamanos! Con gusto te visitamos en la comodidad de tu hogar. Podras ver estilos de telas y cortinas, cortineros decorativos con opcion motorizada y mucho mas. Somos orgullosamente una empresa familiar dedicada al diseno de interiores. Llama Hoy! Blind Depot has been customizing sunlight in the Greater Dallas area since 1989, so we know how to solve the problems that bright Texas sunlight can create. We only hire well-qualified sales, installation and repair staff, and much of our staff has been with us for more than 10 years. 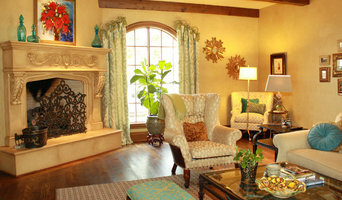 All About the Window (formerly Jolie Vue Interiors) is your custom drapery specialist since 2005. Our passion is designing and constructing high quality window treatments with impeccable customer service. We pay great attention to every detail from initial consultation to the final touches at the installation. Our design process starts with listening to your needs and concerns. Combining that with the latest trends, we can create a unique design for every window in your home. Enclose your outdoor areas, create privacy, security, and true outdoor living. We are the proud manufacturers of Weatherwell Elite aluminum shutters, with a network of dealers across America. A favourite of architects around the world, aluminum shutters are the hottest emerging trend in the US, taking design to whole new level or style, security, and functionality. We work in all U.S. cities and ship Nationwide. Windows by Design offers experienced Design Consultants that are dedicated to providing professional advice, and excellent customer service, with fantastic products, at competitive prices. We offer free in-home consultation to assist you in finding products that will tailor your home, to your distinctive taste. We offer custom window treatments, furniture re-upholstery, & fabric decor! GP Drapery is a full service custom drapery company. We are known for our first-class service and craftsmanship of well designed drapery and roman shades, offering the most extensive line of drapery hardware. 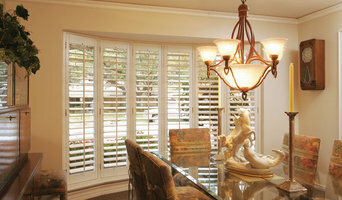 We are a plantation shutters manufacture located in Dallas, tx. We have over 25 years experience making homeowners windows beautiful. We not only sell plantation shutters but every other style of window treatments from your traditional faux blinds to the custom motorized shades.